They grow and change too fast and all of a sudden they are not newborn babies any more. They giggle, pull funny faces, babble first syllabus and before you know, toddle around the place. Chubby legs run faster and faster and lose their chubbiness without you even noticing. That's why preseving those moments are so important!Baby and children portraits can be done at any age. 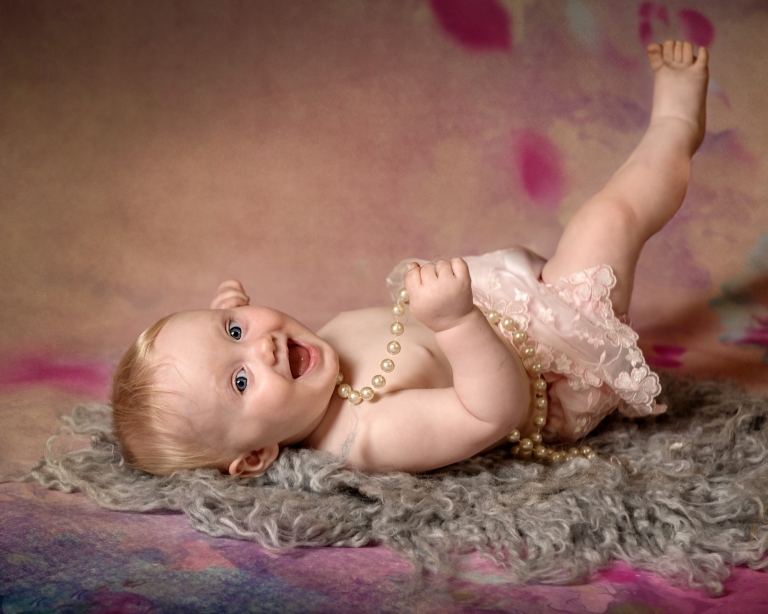 So what if you missed the newborn session - they are just as gorgeous at 2, 3 or 4 months old. When they can sit unaided, the whole new opportunity opens up to capture that cuteness. 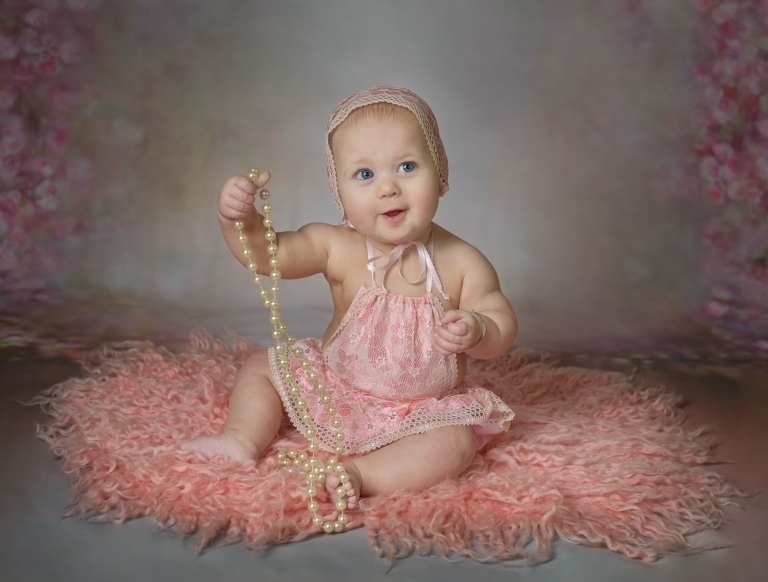 Baby or children photography session takes place at our photo studio in Cornwall or on location in Cornwall. Before the photo shoot we will have a full consultation with you about your requirements. On the day you are welcome to bring your favourite clothing for your children. We also have sweet outfits and props of our own to give your portraits a uniqueness. 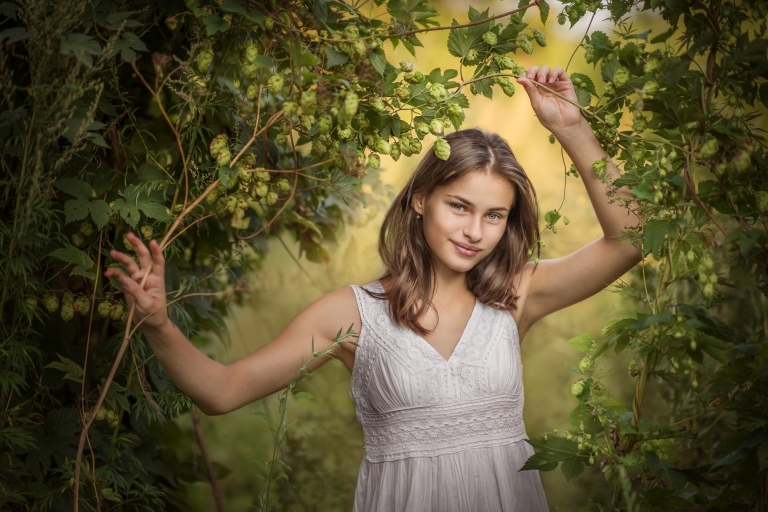 Location photo sessions are the more relaxed choice for older children, as they can run around and be themselves. These sessions are usually done in the form of a walk and take about 2 hours. 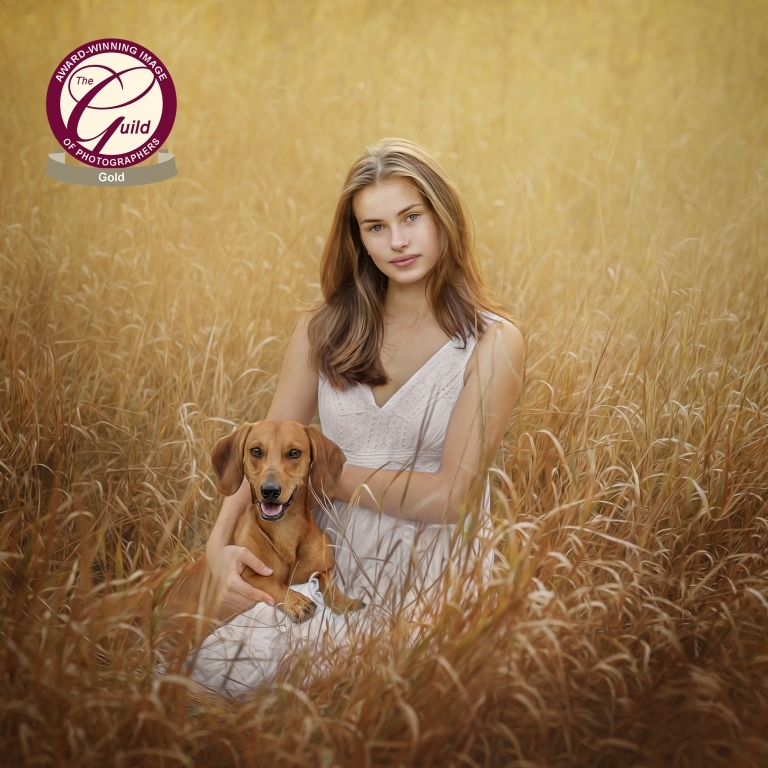 We always encourage you to bring your pets with you for the location photo shoots too! After each session we schedule the date (usually after 7-10 days) for you to view your edited images in person at the studio. To secure your time slot, there is a £35 non-refundable session fee for the studio or within 7 miles of St Austell. For any location shoots 7+ miles of St Austell here is a travel fee of £15, which you can add as an option when booking. A: It is always suggested to go for the clothing in natural colours (blue, beige, white, brown) without distracting numbers, letters or logos. Please do not choose black and white boldly patterned and stripy t-shirts or tops, beach shorts and flip-flops! Though they are great for the holiday wear, they do not contribute to good portraiture. Collared shirts of a single colour or of very gentle pattern are the best for men and boys. Brightness and busy-ness of clothing make pictures look busy and distract attention from main – a person on the photo. For family and sibling portraits, colour coordinated clothing is the best. Bringing a few changes of outfits will make great variety in your pictures. We will help you to mix and match if you are not sure. 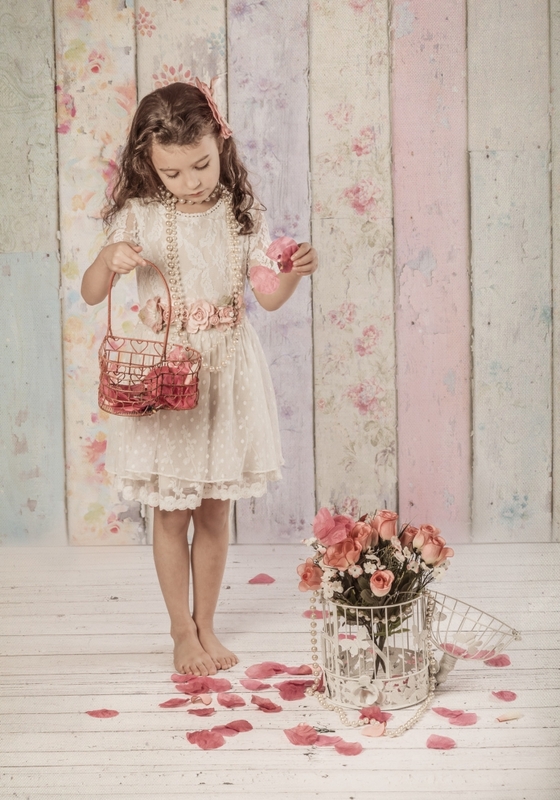 A: Young children can be handful and cause parents a lot of stress during the photo session. The way to deal with them is to give them time and not to force them to do anything, and eventually they may want to come and join in. The more stressed the parent becomes, the naughtier is the toddler, so the best approach is to stay calm. 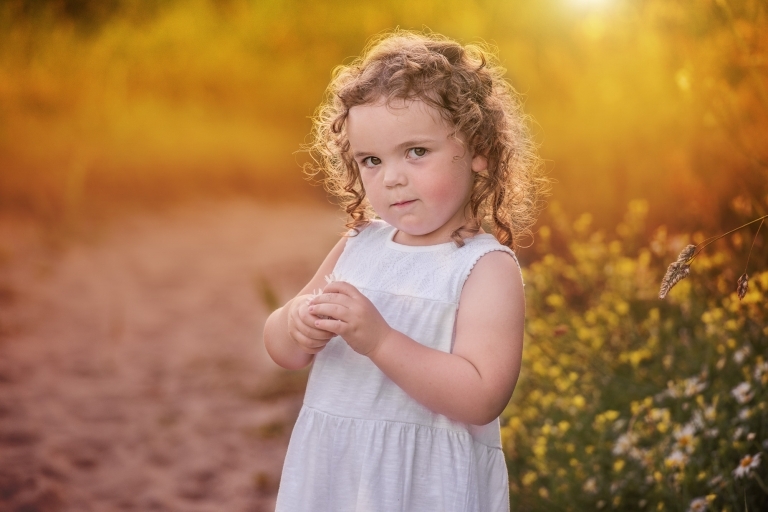 Photo sessions on location tend to be a bit more relaxed for the kids as there is more space for them to run around. "Amazing pictures! VERY reasonably priced!"